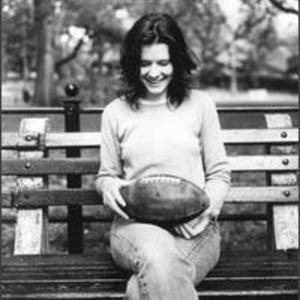 Edie Brickell is an American singer/songwriter, born March 10, 1966 in Dallas (Oak Cliff), Texas. In the late 1980s Brickell was the lead singer with the (now renamed) folk-rock group Edie Brickell & New Bohemians, whose 1988 debut album Shooting Rubberbands at the Stars was a critical and commercial success. The band's follow-up album, Ghost of a Dog (1990), fared less well. As a solo artist, Brickell released Picture Perfect Morning (1994) and Volcano (2003). In 2006 she reunited with some of the original members of The New Bohemians and they released the Stranger Things album. In the late 1980s Brickell was the lead singer with the (now renamed) folk-rock group Edie Brickell & New Bohemians, whose 1988 debut album Shooting Rubberbands at the Stars was a critical and commercial success. The band's follow-up album, Ghost of a Dog (1990), fared less well. As a solo artist, Brickell released Picture Perfect Morning (1994) and Volcano (2003). In 2006 she reunited with some of the original members of The New Bohemians and they released the Stranger Things album. Brickell had a role as a folk singer in the 1989 film Born on the Fourth of July. Her version of Bob Dylan's "A Hard Rain's A-Gonna Fall" is featured on the film's soundtrack. Many computer users know her from the "Good Times" video which was included as part of the multimedia samples on the Windows 95 installation CD-ROM. Brickell married songwriter Paul Simon in 1992. They have three children.